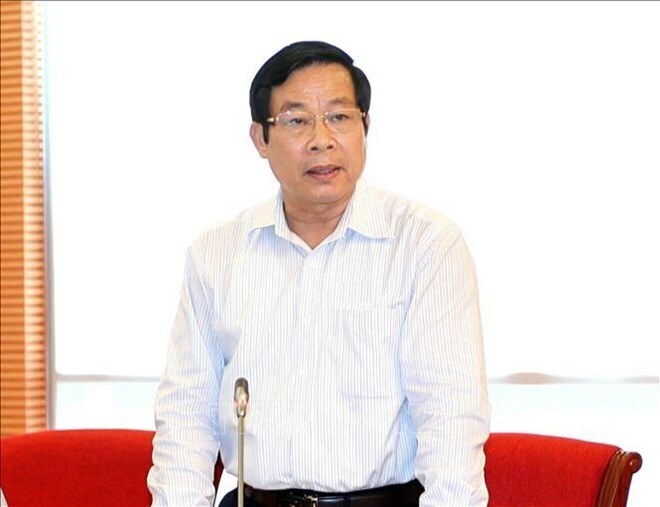 Hanoi (VNS/VNA) - Retired government officials will not be allowed to found, own or run private companies in areas under the jurisdiction and management of their former posts for at least six months after retirement, heard a conference in Hanoi on March 27. This is the latest and most notable rule among a series of legislative moves in Vietnam’s 2018 Anti-corruption Law. In recent years, the Government has stepped up efforts to address the country’s rampant corruption, signalling it out as a threat to the Government’s legitimacy and a major hurdle to national development. Retired officials whose former posts were with the Ministries of Industry and Trade; Planning and Investment; Labour, Invalids and Social Affairs; Agriculture and Rural Development; Finance; Natural Resources and Environment; Construction; and Justice; the State Bank of Vietnam; the Government Inspectorate; the Government Office; and the State Capital Investment Corporation will be barred from taking part in their respective business areas for a period of 12 to 24 months. Officials who worked under the Ministries of Education and Training; Science and Technology; Culture, Sports and Tourism; and Health; the Vietnam Social Security and the Committee for Ethnic Minority Affairs will see a 6 to 12 month ban. The Ministries of Foreign Affairs; Public Security; and National Defence and other governmental agencies are expected to follow suit and set up their own waiting periods for their retired officials. Another highlight of the 2018 Anti-corruption Law is the shifting focus to the private sector with fines ranging from 200 USD to 4000 USD for bribery or helping with bribery. The law is set to come into effect on July 1 this year.